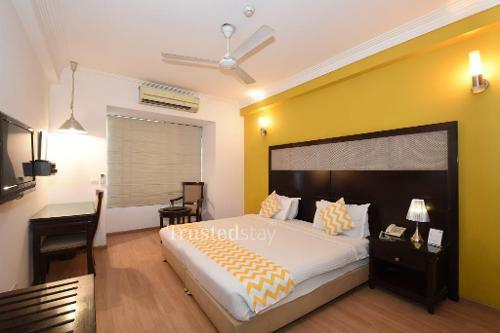 This Serviced Apartment in Noida Delhi NCR is a standalone independent building located adjacent to a park in Sector 44 Noida Utter Pradesh. 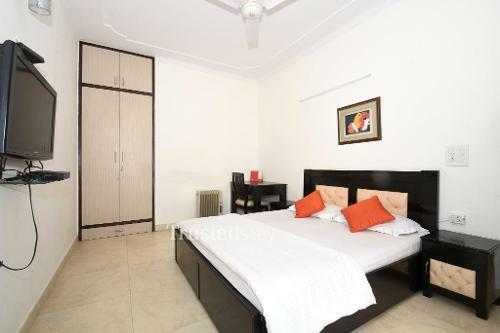 This Service Apartment is just 2km from Botanical Garden Metro station. This Serviced apartment is just opposite to sector 124 Noida, where major IT companies like HCL Technologies, Kotak Mahindra Bank, etc. are located. Nehru Palace the CBD area is 16km from this serviced apartment. 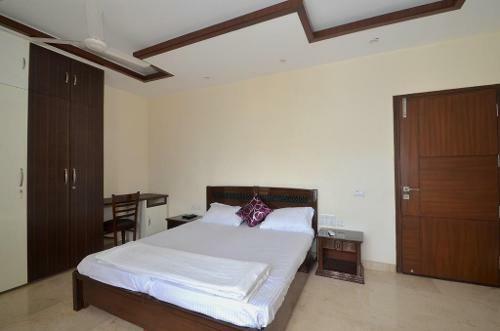 This standalone building has total 14 rooms, from 6 no.s 2BHK apartments spread accross Ground, First and Second floor. 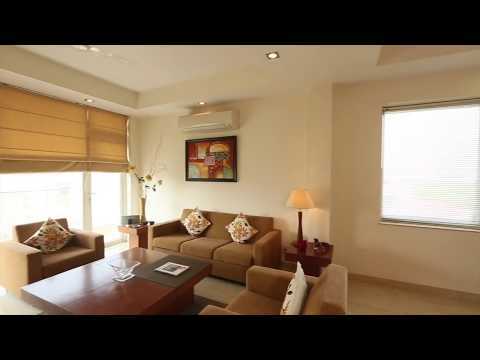 Top floor has 2 no’s 1BHK apartments with a terrace. 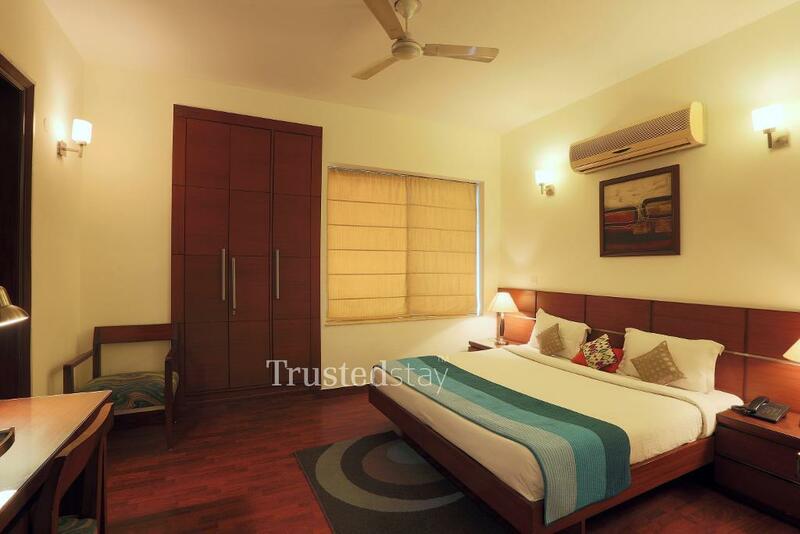 All apartments are fully furnished, Every bedroom room is air conditioned and has a TV with a twin or double bed. We offer rooms or independent apartments. We have a common kitchen in the ground floor from where we serve the meals.